I’m starting this Blog with a philosophical question. “Can you run a VW Festival when you know nothing about VeeDubs?” No, I havent got an answer, but I’ll come back to the question later. This was our 5th Eskdale Dubfest and, over the years, we’ve had every type of weather for what is generally our first camp out of the season. The forecast was dry for this one with maybe, just maybe, a hint of sunshine. It was quite grey when we left Leyland on Friday, but not too cold for the drive north up the M6 (always the best direction to go on my nemesis motorway). Even though the Festival was being held a couple of weeks earlier this year, the blossom was already in flower as we left our estate – a cue to grab a photo as we set off. 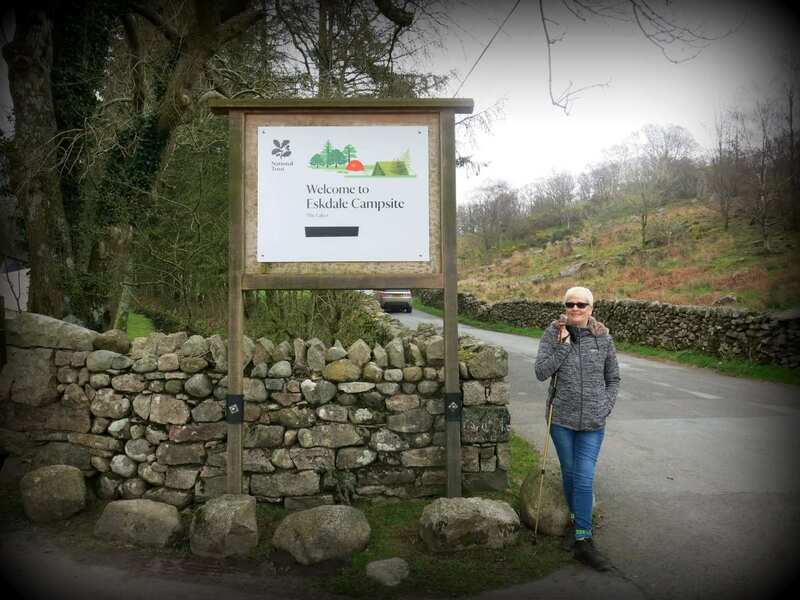 We arrived at Eskdale Campsite around 2.30pm, almost 6 hours after Daz and Claire, who’d travelled up from Wales after a sneaky overnight stopover north of Preston on Thursday night, to break the journey. We soon had the Puck Buddies canopy up and the pup tent erected to store our gear, before cracking open a couple of cans of cider to celebrate our arrival. Karen and Paul also arrived before us and it was lovely to meet their two dogs for the first time. Alison once again coveted their Shelter Pod but we’re definitely not getting one! In the evening we headed to the Woolpack Inn for food and beer and we were surprised at how empty it was. We had a choice of tables which is very unusual and made for a very relaxing evening. The food was great and a very kind member of staff gave us a lift back to the campsite. It was a spectacularly clear night, with a sky full of stars, something I really miss, living as we do in such a built up area. We stopped off at the Brook House for a quick beer before wandering back to Absinthe. Jane and Allan had arrived from Scotland whilst we had been out walking and we were rewarded with some of Jane’s fantastic cake. Perfect! We all walked down to the Brook House later for dinner, a catch up and to make more plans for the season. It was great to see other vans and especially a couple of Glawnings on site. Sunday morning was a brilliant (if cold) sunny day with not a cloud in the sky when we got up. We took our time breaking camp before setting off to drive to the coast. The seaside isn’t something you associate with the Lake District but Cumbria has its own coastline and beaches. We drove to Silecroft, somewhere that neither of us had actually been to before. The car park overlooking the beach would make an ideal wild camping spot but there were signs saying no overnight camping or occupying of vehicles. Shame. We had a great weekend although there had been some drama on site on Friday evening whilst we’d been at the pub. A middle-aged couple camped opposite our van had massively fallen out and had been shouting and screaming at each other. Obviously drink had been involved but at one point she’d fallen over and he hadn’t been able to get her on her feet. The wardens had got involved and on Saturday morning they were asked to leave. Such a shame to spoil a great opportunity for a weekend away. 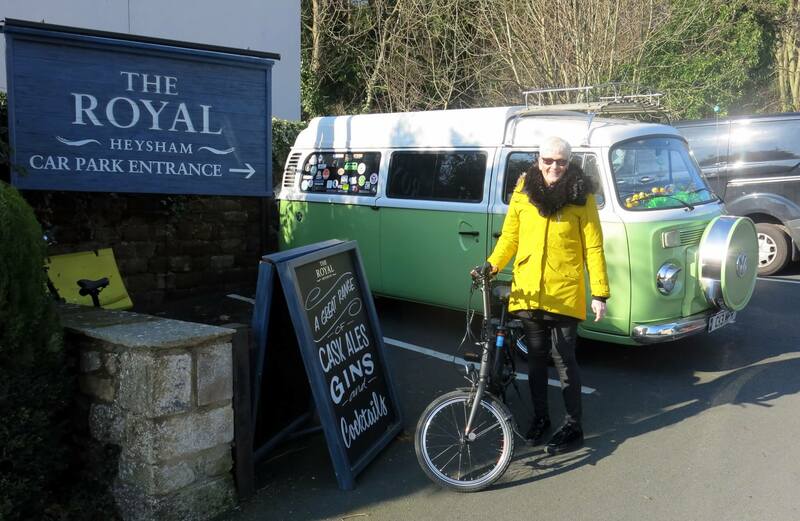 On Saturday night in the pub we were accosted by a very drunken van owner. He wouldn’t stop shouting and swearing and the pub staff had to ask him to moderate his language. Eventually his friends took him away, back to the site, much to everyone’s relief. Both the guy in the pub and the couple who left, were from the same small coastal Cumbrian town – maybe they both need help. 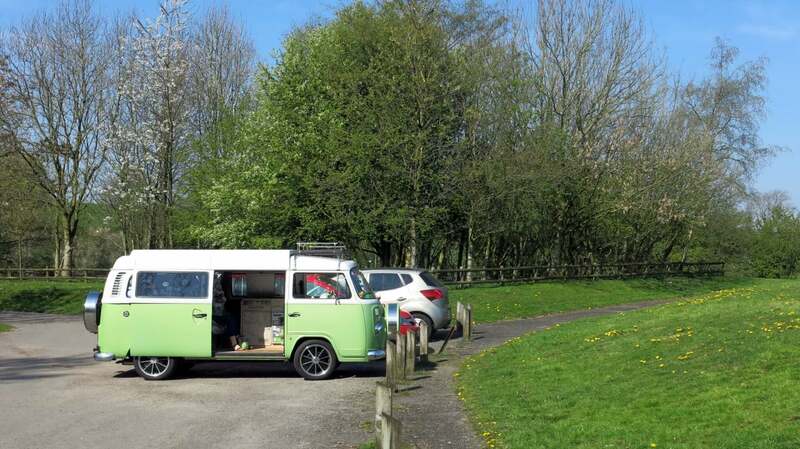 I asked at the start of the Blog whether you needed knowledge of VeeDubs to run a VW Festival, for the reason that this year the site has changed hands and is now owned by the National Trust. Martyn Merkel, the previous owner, put a lot of effort into the event and it had gradually developed over the 6 years he organised it. I suspect that the NT had capped numbers because there certainly weren’t as many vans there as in previous years, despite ‘Site Full’ signs being displayed this year and I wonder if it will be held in 2020. No matter really because I’m sure a group of us will be there are some point next year. We all love the area and it’s the company that’s important, not how many vans are on site. Only the ducks photo is visible for me ? So sad we missed it this year. 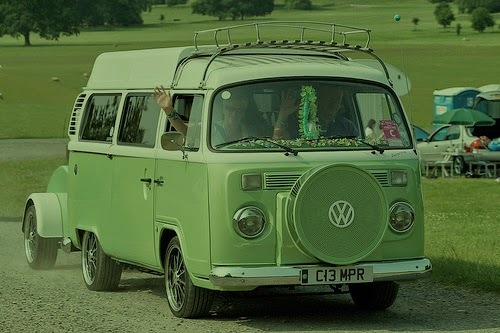 I expect we will attend next year despite not having a VW van. Super photos. Sounds like a great location for a meet up. Nice write up and super pictures. It must have been cold but I guess you get used to that in those VW vans. A late May weekend in Aviemore cured me of the urge. Border Terrier? They are great. Luckily we’ve got a petrol Webasto heater for when it’s cold (and a small oil filled radiator when we’ve got electric hook up) so it’s never too cold. Love your Blog by the way – some fantastic photos and great content – I check it out most days. Oh, and don’t encourage Mrs B with dog talk, I’m trying to hold her back from taking the plunge too quickly!